Increase your vitality and improve your overall health with a 7 night’s intense Detox Weight Loss Holiday Programme in the Algarve. Get a personal health assessment and learn how to enhance your wellbeing. 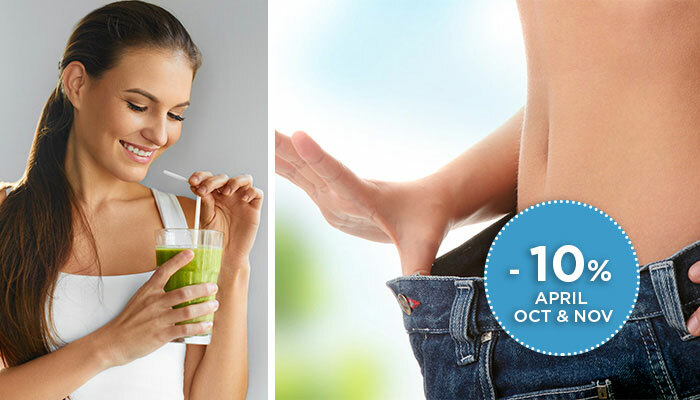 Detox and kick-start a healthy weight loss process through a medically approved juice fasting and detoxifying meal plan, cleansing and slimming therapies, and invigorating daily group activities.